Today we are going to be check out the NOCO GB70 Genius Booster. This is a small booster pack to help jump start cars. I have used several jump packs to jump start cars. This is quite a bit different than a standard jump box. It can also do more than a plan jump box will do. How does this one measure up? Will it actually jump start a car? Should you spend your hard earned money on this jump start pack? You will have to watch to find out. Is this for the average consumer? Do I like this as a technician? Trouble viewing? 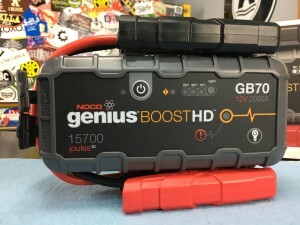 Watch “NOCO Genius Boost HD GB70 Jump Starter ~ Review” on YouTube. As always I love to hear your thoughts. Please post them in the comments section below. 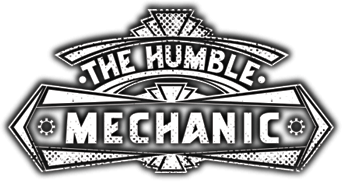 Again, if you have a product for a show like this, email me Charles(at)humblemechanic(dot)com with Review for Charles in the subject. Also if you have an idea for a show you can email me, or use the contact me form! If you don’t have a volt meter how do you know how long to leave it on for before cranking the vehicle? Did you find an answer to this question? I would like to know the answer, too. – about how long to leave the NOCO on. The one I saw worked after the user applied itfor only a few seconds.